The global biofuel industry has been witnessing sustainable growth and developments for the past few years in the backdrop of depleting fossil fuels and degradation of environmental conditions. 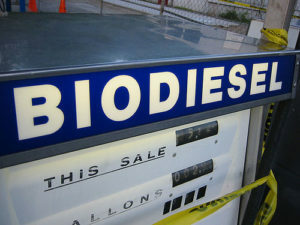 Compared to ethanol, the global biodiesel industry is still at its infancy; however it is rapidly growing. According to our research report “Global Biofuel Market Analysis”, supportive government and upcoming biodiesel plants in Asia will boost the world biodiesel production at a CAGR of around 15.5% during 2010-2013. Further, our study reveals that the biodiesel production is growing worldwide, with the European Union accounting for the largest share of the biodiesel production worldwide. However, the US is rapidly picking up speed in biodiesel production due to high requirement of environment-friendly transportation fuel. America (the US and Brazil) is the second largest biodiesel producing region in the world after the EU. Our research report provides a statistical view on both biodiesel and ethanol production along with the cost analysis of biofuel. “Global Biofuel Market Analysis” provides an extensive research and rational analysis of the global biofuel industry and its different segments. It gives a deep insight into the regional trends prevailing across the globe. Analysis and statistics regarding the market size, growth, regional segmentation, and trends in technology developments have been thoroughly studied in the report to provide clients a comprehensive overview of the biofuel industry. We have also studied growth prospects of the biofuel industry in the developing countries. The several countries covered in the report are – Australia, Thailand, Japan, India, China, Indonesia, the US, Brazil, Canada, Czech Republic, Sweden, Denmark, France, Germany, Italy, Spain, the UK, Argentina, and Malaysia. Additionally, the report contains information about the government support, biofuel distribution issues, and cost analysis to help clients formulate appropriate strategies for the expansion of business in untapped markets. The report also provides brief information about the second generation biofuels, which will raise the production capacity per acre land, along with their social and environmental benefits.